I have had a gmail account setup for a number of years, but really haven’t been getting much use out it since I prefer to use my personal email based on my own domain name, which is of course registered and hosted with register4less.com. The one thing gmail does actually do quite well is filter spam with a low rate of filtering out valid email. There are a number of reasons I recommend to use an email address based on your own domain, including branding, portability, tie-in with your website, but that’s not the focus of this post. Log into your gmail account, and go to Settings page, and then to the Forwarding and Pop tab. In the Forwarding option, set gmail to forward all email to your domain based email address, and keep a copy in inbox on your gmail account. Log into your account on Register4Less.com and go to the cPanel (Paid Hosting > Manage Advanced Hosting) where you normally manage your email accounts. In the box below, enter in the text X-Forwarded For: followed by your gmail address and then your domain based address. In our example, that would be X-Forwarded For: johndoe@gmail.com john@doe.com . Under Actions, choose Redirect to Email, and in the text box below enter in your gmail address. Again in our example, you would enter in johndoe@gmail.com . That is the entire setup. Your email will now forward to gmail (spam included), be filtered, and then forwarded back. The filter in your R4L account checks to see if the email was forwarded from your gmail account, and only if it finds that the email did not come from there will it forward to gmail. You may know that Register4Less.com automatically backs up all of our hosting accounts on a daily basis for one week, and on a weekly basis for four weeks. Setting up this forward will also create an additional backup for you, as all of the email that is forwarded to your gmail account will stay in the inbox there as well. Please give this a try and let us know how it works for you. If you’re hosting a WordPress site/blog, chances are, you’re going to have to deal with spam comments being posted to your site. WordPress is the most popular CMS (Content Management System) environment in use by developers, with over 25% of websites globally now running WordPress. While it’s undeniably a powerful and flexible platform with which to build your site, it’s also the number 1 targeted platform for spammers. Can’t I Just Ignore Spam? Bad links will hurt your search engine placement. Google and other search engines are cracking down on bad links. If your site is linking to known unrepeatable sources, you will likely see your SEO rankings decline. Spam on your website tells your visitors you’re not paying attention to your website. Generally visitors to your site will see spam comments for what they are. This essentially tells your site visitors that you’re not keeping up with the management of your site’s content. Spam will slow down your website. 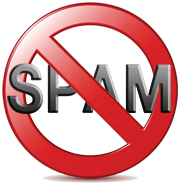 Spam creates unnecessary additional content for your website to load, and can grow quite quickly if not managed. This will add time for every page to load on your website, and encourages visitors to abandon the page load and go elsewhere. Most Spam comments and trackbacks contain links. More bad news for your site’s visitors. Many of these links go back to virus/malware, which if followed, could lead to your visitor’s computer becoming infected, and possibly their computer/email account becoming compromised. Now that you understand why it’s important to keep up maintenance of your website and keep comments & ping backs free from spam, let’s look at some approaches to help you accomplish this. By default, the anti-spam filter Akismet is installed and waiting for you to activate it. To do so, simply log into your WordPress dashboard, click on Plugins, and activate for Akismet. You will need to register with them to get the plugin running. Akismet will trap spam and notify you by email when new comments are awaiting moderation. A continuation of the first point, Akismet will trap comments posted to your site, and allow you to Approve, Trash, or mark comments as Spam. Letting Akismet know a comment is spam also will help train its filter. No spam filter is perfect, so sometimes Akismet will place a legitimate comment or pingback into the spam folder. You should not just delete everything thats been tagged as spam, but go through to make sure legitimate comments get approved. If you’re writing posts to your site, consider disabling comments to the posts after real comment traffic has settled down. What this period will be will depend on your site and how active comments are given a post you’ve put up. We’ll post part two of this next week. Until then….